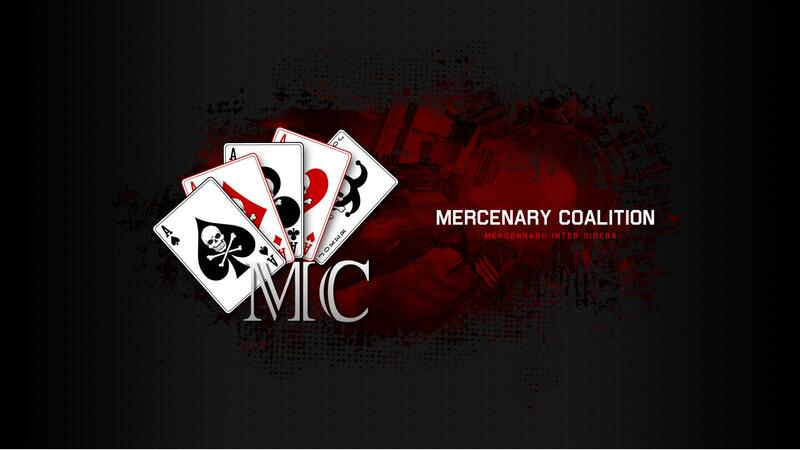 During the M-0 iHub timer fight on Monday 28th March 2016, Mercenary Coalition contributed two fleets toward the effort of winning the timer. In total, approximately 100 [MC] pilots were involved. The main focus of this summary is the fun that can be had in a small gang during contributing to the bigger fight. The summary follows the activities of a breakaway small gang from the main MC fleet during the fight which had a focus on contesting command nodes, lead by [MC] Hulemand. The first section gives a brief outline and context of our main 170 member T3 Proteus fleet. This was a combined Mercenary Coalition [MC] & Dead Terrorists [DT] fleet, lead by [MC] FC, Athen Kharn. MC formed its biggest fleet ever since reforming last year. At peak, we had 105 MC pilots in fleets, out of 120 online in alliance. The excellent numbers across all of Voltron alliances (MC, SNUFF, DT, SHDWC & PM) meant we had over 450 active pilots between us. The large numbers meant we needed to form multiple fleets. Mercenary Coalition decided to form up directly with Dead Terrorists into a 170-man T3 strategic cruiser fleet whilst Snuff, Shadow Cartel & PM formed another fleet of identical composition. Due to the many other allied fleets involved, we decided to keep the two large Voltron fleets together for most of the operation. MC also formed a separate entosis gang to deal with the spawning command node objectives. This group was commanded by our outstanding skirmish FC, Hulemand. We have a number of greener players that have joined us recently that can’t fly our blingy, high-level doctrines. This type of support fleet is an ideal way for them to be useful and to contribute, whilst our vets fly what they like to fly – the expensive and heavier doctrines, and their capital ships. As the main MC fleet started forming, the idea was to give all of the few newbros that couldn’t fly our mainline Proteus and Legion doctrine ships a purpose in the battle for M-0. At the same time, it provided a chance for players who were unable to commit hours and hours of fighting to get involved in the fight. Our goal was to entosis as much as possible away from the major fighting in the constellation. We left Hakonen ahead of the main fleet after it was reported that a camp was forming at the Taisy gate in M-0. At the time we jumped in, the Imperium had a Machariel battleship fleet 120km off the gate, but without tackle at the gate we managed to all safely warp to V0DF-2. Once inside V0DF-2 we set up a camp at the MJI3-8 gate to deal with any light enemy entosis ships that may try to move in or out of the system. Shortly after setting up, an Imperium Velator warped to and from the gate at distance, just to come back at 200km and sit there – clearly a cyno! The cyno player appeared to be AFK (probably whilst his owner was using his other characters), so we destroyed his cyno ship and podded him. We saw him stay in local so quickly bought out the remaining cyno modules on the market and hoped he did not have any spare. The first nodes started to spawn and we began entosis operations with our Slicers while cloaking up our interdictor in direction of the only gate in system for defensive bubbles. Some 15 minutes after, the same Velator reappeared on scan and soon after a cyno was lit at the gate. A 150-man Imperium Machariel battleship fleet jumped into system through the the cyno bridge, and shortly after the first Imperium support landed on grid. Our small entosis gang was quickly overwhelmed by their support. The Machs hung around for a couple of minutes but ended up leaving. We went back to the node and continued contesting it which we eventually captured. With the only node in MJI3-8 now taken and no new ones spawning, scouts reported three more nodes in V0DF-2. We traveled over there and started contesting them. Local was at 200 at this point, it was mostly blue however. Hostile interceptors were pinging in and out of the nodes, clearly scouting what we were up to. A couple of minutes pass and bad guys land on grid. We somehow get them to follow the wrong ship and our entosis manages to get enough distance to survive his timer and warp off. 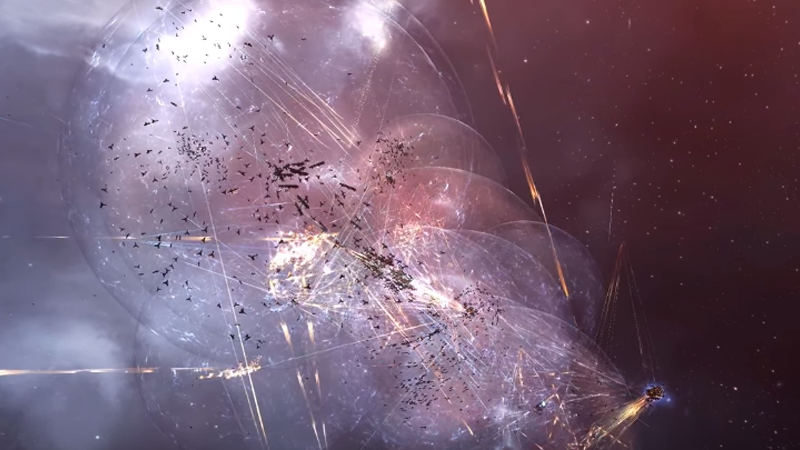 Meanwhile, the Imperium Mach fleet warps to the other node in system, kills an allied entosis ship there and starts counter-entosising it with their own Devoter. This doesn’t last long, as our friends from TEST and DARK land on grid in a Cerberus fleet. They destroy the hostile entosis Devoter and start engaging the hostile Macherials. Meanwhile, our main Proteus fleet was still fighting their monster battle on their original grid in J-GAMP. Whilst the TEST and DARK Cerberus fleet were engaging the Imperium Machariel fleet, we began to entosis our node again. Two small Imperium gangs showed up and attempted to force us off the node, but we were successful in holding them off in a small gang fight. With MJI3-8 becoming too busy, we came to the conclusion that we could not hope to finish capturing the node without heavier support. We were however consistently reinforced with a steady stream of small-gang ships from MC members logging on from early US timezone. We received a report that E-0 local was only at 12, and there there were two untouched nodes in the system. We quickly re-deployed and setup entosis operations. Moments after our small gang of 11 was set up, we were scouted by a CO2 ‘ceptor and the scout reported more ceptors coming into the system. As the first four ‘ceptors landed on grid, we engaged them and slowly started to take them out. Additionaly, enemy destroyers were brought in and we were left outnumbered 11 to 16. We lost two of our logistics frigates, however, we managed to fight our way out and take seven enemy ‘ceptors down before exiting the grid. We took some time to re-ship in Hakonen and reinforced our wing with a few more new log-ins. We were not able jump back into M-0 from Taisy due to a newly setup Imperium camp, so we decided to take the scenic route through Vale of Silent and enter into E-0 from the other side of the constellation. We set up new entosis operations and our TEST/DARKNESS friends dropped by and decided to protect us with only six minutes left on the entosis timer. These aren’t massive numbers, but the purpose of this report is to show how much fun can be had in a tiny fleet whilst dodging the bigger fleets and letting your heavier fleets do the main fighting. Lots of fun can be had killing targets of opportunity, losing ships, reshipping, trying to keep up with the movements of our main fleet, and of course most importantly – playing without hardly any TiDi or soul-crushing lag. Mercenary Coalition leader, formerly of Pandemic Legion and former CSM Chairman and CCP dev.